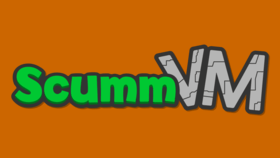 [PSVita] ScummVM v2.1.0git-rsn8887.17 Released » Brewology - PS3 PSP WII XBOX - Homebrew News, Saved Games, Downloads, and More! rsn8887 has released ScummVM version 2.1.0git-rsn8887.17 for the PSVita. However the PSP development builds on that site are are still crashing. The PSP version offered here works, so I will keep this release page up. These are working builds of ScummVM for the PSP and Vita based on 2.1.0git development source from 20180208, including some additional experimental features (lipsync!) that have not yet been accepted into the main source code. In addition, the PSP development build here does not crash (the official buildbot build for PSP is currently crashing). On the Vita, rear touch is enabled only when the option “touchpad mouse mode” is on. This option is off by default, but it can be easily turned on in the options menu in the control tab. This change is because people find it annoying when they just hold the Vita and accidentally trigger rear touch events that move the mouse pointer. This is for anyone who wants to test out the latest experimental version of ScummVM PSP or Vita. This is mostly because of the lipsync patch. I think the lipsync is a huge deal so should be immediately released. But it is also largely untested. - (Vita) allow ‘frontpanel_touchpad_mode=true’ option in ScummVM.ini. Can change option to ‘true’ manually in scummvm.ini to force front panel into indirect touchpad mode where the pointer doesn’t jump to finger.